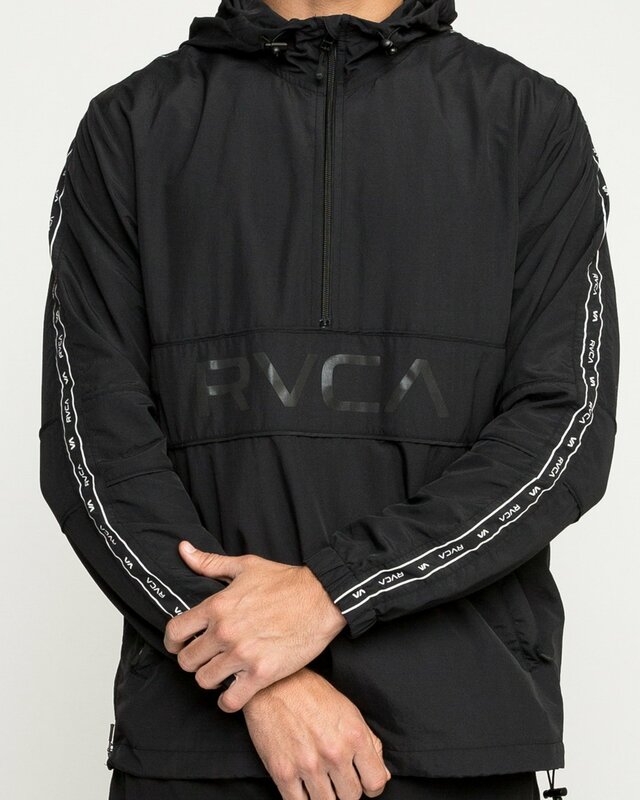 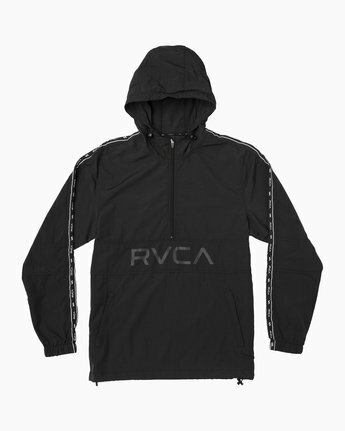 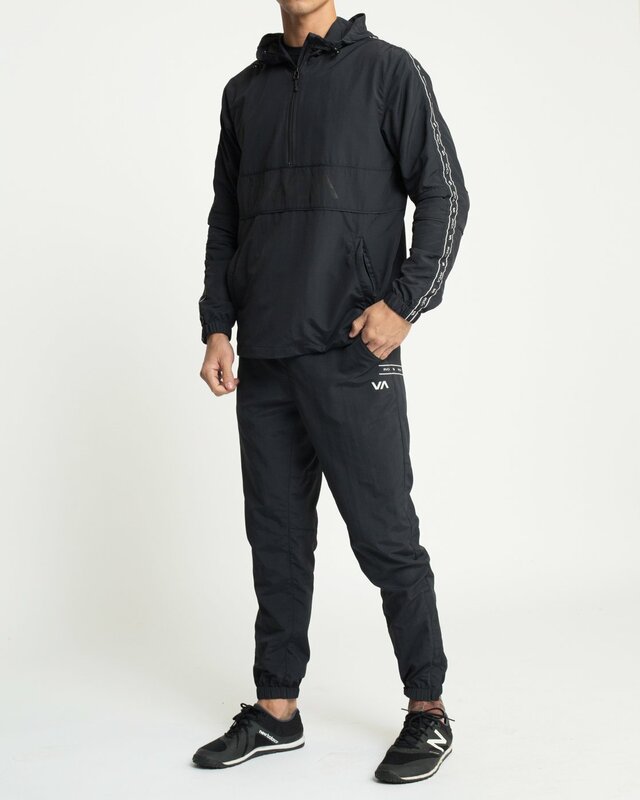 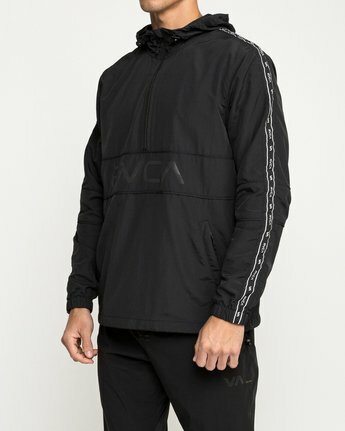 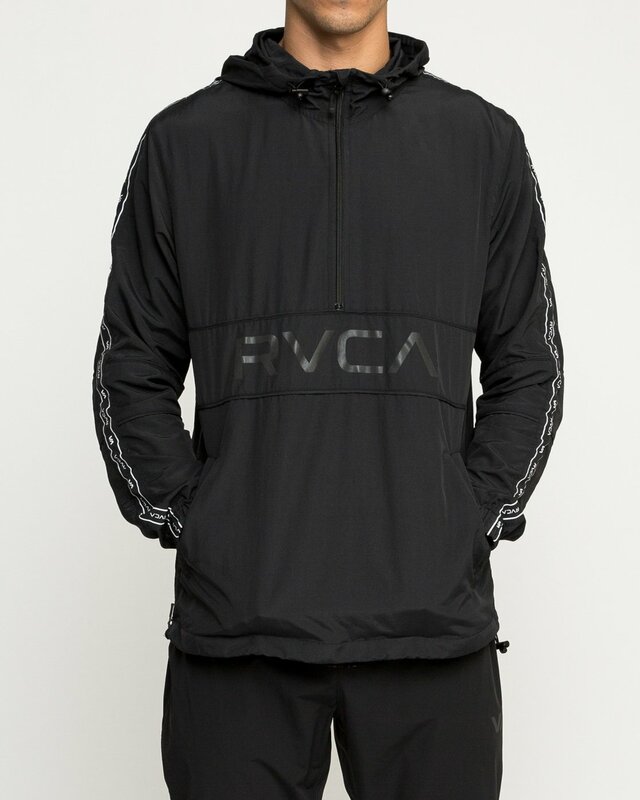 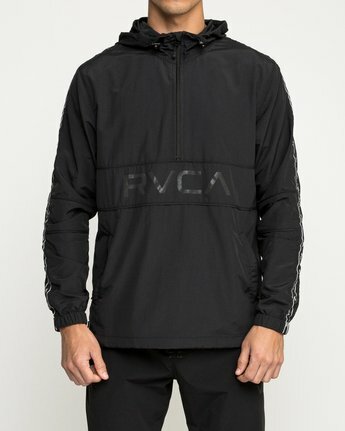 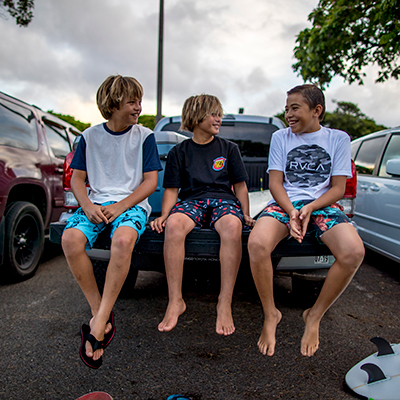 Essential weather resistance and heat for your training regimen, the RVCA Adapter Anorak Jacket offers a core design and lightweight, quick-drying function. 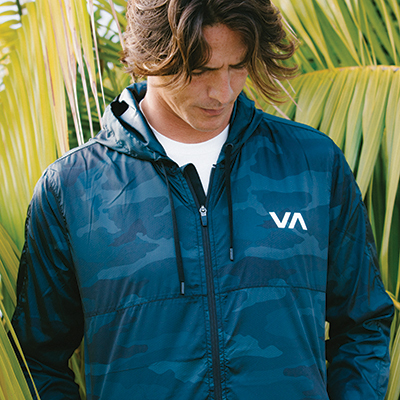 Made to travel or train, the mens windbreaker features a classic hooded anorak design with a half-length zipper at the center front. 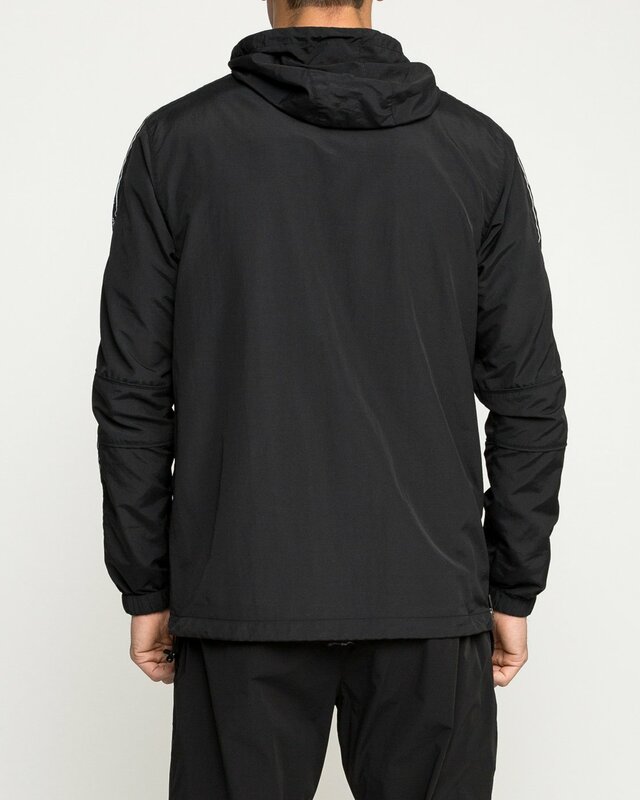 Additional technical features include toggle adjusters at the hem and hood, reflective taping at the sleeves and zippered pockets at the front.